The upcoming release of "I Love You, Daddy," a new movie written and directed by and starring Louis C.K., has been scrapped in the wake of sexual misconduct allegations published by The New York Times on Thursday. The move was announced on Friday by The Orchard, the movie's distributor. "The Orchard will not be moving forward with the release of 'I Love You, Daddy,'" it said in a statement. The movie's Thursday premiere was canceled at the last minute, shortly before the New York Times published its story in the afternoon. The Times report includes allegations from five women who said Louis C.K. acted inappropriately toward them, including masturbating in front of them. Louis C.K. issued an apology Friday afternoon and admitted that the allegations are true. He also apologized to those he worked with, including those at The Orchard and to the film's cast and crew. The fallout from the allegations have been swift. HBO announced on Thursday night that Louis C.K. will not be appearing in the upcoming "Night of Too Many Stars: America Unites for Autism Programs." Publicist Lewis Kay announced on Friday that he no longer represents Louis C.K. The Orchard snagged the rights to "I Love You, Daddy" for $5 million in September at the Toronto International Film Festival, according to an exclusive report by The Hollywood Reporter. The movie was schedule to be released on November 17. "The allegations made by several women in today's New York Times about Louis C.K. 's behavior are disturbing," a Netflix spokesperson said in a statement to CNN. 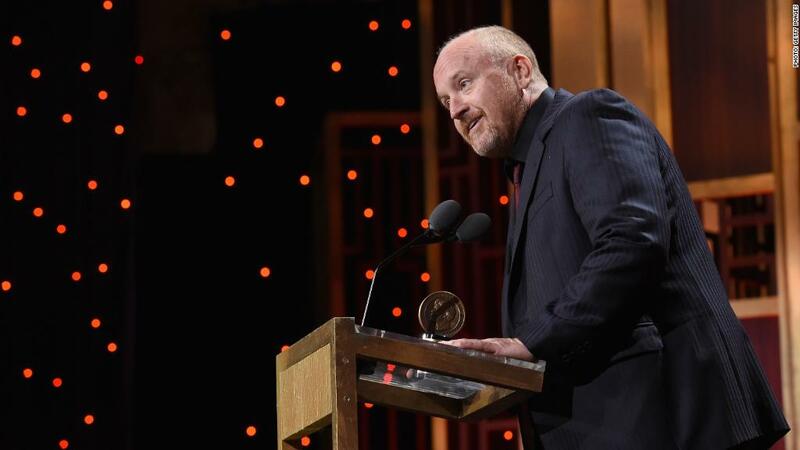 "Louis's unprofessional and inappropriate behavior with female colleagues has led us to decide not to produce a second stand up special, as had been planned."